The Mindful Return Maternity Leave Course sets you up for success and gives you the tools to confidently navigate your new life as a working mother. What goes through your mind as you sit in your newborn’s nursery at 2 a.m.? How hard will it be when I say goodbye to my new baby to go to work for the first time? Will I be able to fall back into my same rhythm at the office after being gone on maternity leave? What if I have to leave a meeting to pump? What will people think of me? Will my baby feel abandoned, and will we lose out on this bonding time together after I go back to the office? Am I really cut out to do this whole working mom thing? These thoughts are completely normal. After all, you just went through the single biggest life-changing experience. You created life. And now, you’re tasked with figuring out how to balance your old patterns with caring for a new bundle of joy. This is a beautiful time, but if you’re like most moms, you have some (or a lot of) anxiety over what the future holds. Know that you are not alone, mama. The secret to silencing these fears and gearing up to return to the office lies in how you prepare for your new role as a working mom. We’re here to help. 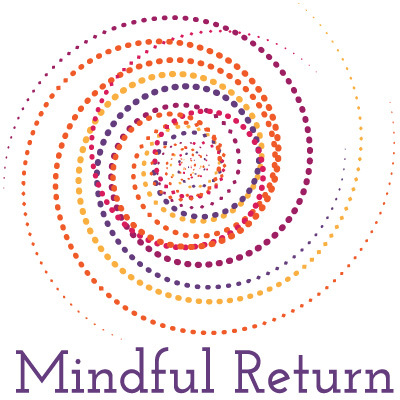 Mindful Return is a program designed specifically for career-minded women who have gone through the transformative experience of having a child. Sound like you? This program will leave you feeling more calm, empowered, and connected than ever before. Through it, you’ll feel encouraged and inspired to start this new journey. You’ll learn how to negotiate for flexibility, plan complex logistics, and find real balance between both demanding roles. Throughout it all, you’ll be surrounded by a community of other working moms ready to offer insight and answer questions. It’s a powerful experience you can’t get anywhere else. Sign up for the Mindful Return email list and get free tips to help you start smoothing the transition from maternity leave to working mom. Mindful Return is more than just an e-course. Yes, we help you iron out the inevitable wrinkles that go along with returning from maternity leave, but there’s so much more here. Mindful Return is the brainchild of a working mom who gets it. Lori Mihalich-Levin is a lawyer with two young children of her own. 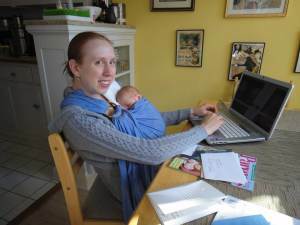 She has experienced firs hand the challenges that come with returning to work after maternity leave. It’s through her experience that she created this course for other working moms. 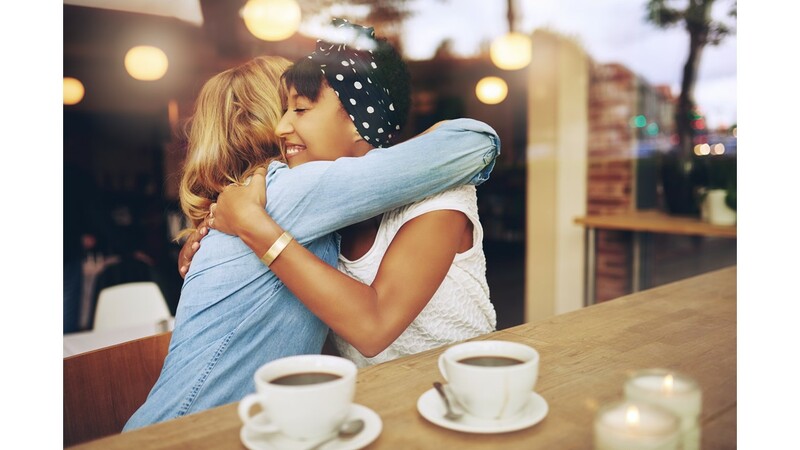 In addition to receiving expert guidance from Lori and her team, you’ll also get inspired by the community of other moms who have walked or are walking in your shoes. Ask private questions. Get real answers. Having other working moms to lean on for support will leave you feeling like it’s possible to lead, grow, and thrive in your new role! Mindful Return is a 4-week online class that you can take in your yoga pants and while nursing your newborn. It’s designed for your lifestyle during maternity leave, which means we keep things casual, comfortable and convenient while helping you build your confidence and maintain a calm mindset. Enter a supportive community of new mamas from all over who are returning to work around the same time you are. Indefinite access to (1) all the course materials, and (2) a private Facebook Mindful Return Alumnae group. A $25 coupon for your partner to sign up for any of our Mindful Return courses, including this one for working moms and our course designed specifically for working dads. Or, use it for a friend and buy a second Mindful Return course at a discount to give as a baby shower gift. Many employers cover the cost of this course! Ask yours if this is part of your employee benefit package (or if not, ask if it can be added). Know you’d benefit from this course but have financial hardship? Contact Lori at Lori@MindfulReturn.com to discuss assistance options. And this book is available for you to read while waiting for the baby to arrive or during a marathon nursing session. Dig into the pages to learn more about the intricacies of life as a working parent, so you can feel better prepared and more confident in your new role. When should I take this course? When I’m pregnant? On maternity leave? Back at work? The mamas who have taken this course say the best time to take it is when you are out on leave. That said, anytime is a great time to dive in. The course helps pregnant women prepare, and it helps mamas who are already back at work to survive the chaos. When in doubt, sign up for the earliest session you think makes sense, and you may always take a later session at no additional cost. If you are currently pregnant, learning and getting ready now will help you plan ahead and give you a support network to make your return less daunting. If you are already on maternity leave – but perhaps trying to avoid thinking about going back – now is the time to get some reassurance that you can do this in a peaceful, radiant way. And if you’re already back, you could probably use some extra positive voices helping you get through the day. This course is for all of you. Check out the course testimonials to see how mamas at each stage describe their experience with the course. 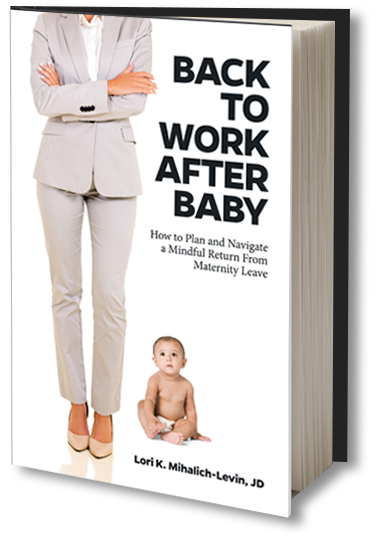 What if I’ve already read Lori’s book, Back to Work After Baby: How to Plan and Navigate a Mindful Return from Maternity Leave? Will I still get anything out of the course? Yes. Both the book and the course cover similar material and focus on the same four themes: mindful mindset, logistics, leadership, and community. There are important differences, though. Key features of the online course that are not found in the book are: (1) writing and journaling prompts at the end of each lesson, to encourage you to dig deep into the material; and (2) the amazingly supportive community of other new working mamas whom you will meet during the course. There is also additional reading material in the book that is not included in the course. No. The lessons in this course will be helpful, whether you took 6 weeks off, 6 months, or a year. This isn’t my first return to work after maternity leave. Will I still get anything out of this course? Absolutely. Every return is different, and perhaps there things that could go better for you the second time around. Case in point: After Lori had her first baby, her return went relatively smoothly; after her second, she had the feeling that 1 child + 1 child = 85 children…and that’s when she thought she was drowning. It was her second return that inspired her to create this course. If this isn’t your first return, you’re invited you to join the community as a voice of experience – you will have great tips to add to those in the lessons. Find out what second-time-around mamas have to say about the course here. How much time should I plan to spend per day on the course? Once the course starts, it’s recommended that you spend about 15-30 minutes a day reviewing the course material and answering the prompts. You can easily spend more time reading your fellow mamas responses and responding to their comments, but about 20 minutes will ground you in the material. That said, this course is for you – to do at your own pace, and work as you are able. The more you put into the course, the more you get out. Will I hear from anyone else during the course? Lori, the creator, designer and moderator of the course, is the author of the majority of the course content. She and her colleague, Jewelyn Cosgrove (a course alum) moderate each course session. You will also have the great opportunity throughout the course to hear from some fantastic guest teachers who bring decades of expertise as mothers and professionals. Joining one of the scheduled sessions of the 4-week, 20 lesson course costs $199. All major credit cards are accepted for payment through the Ruzuku course website using Stripe (like PayPal, only easier to use!). If you know the course would help you, but you have a financial hardship, contact Lori at lori@mindfulreturn.com to discuss financial assistance options. Do you have a question that wasn’t answered here? E-mail Lori directly at lori@mindfulreturn.com.